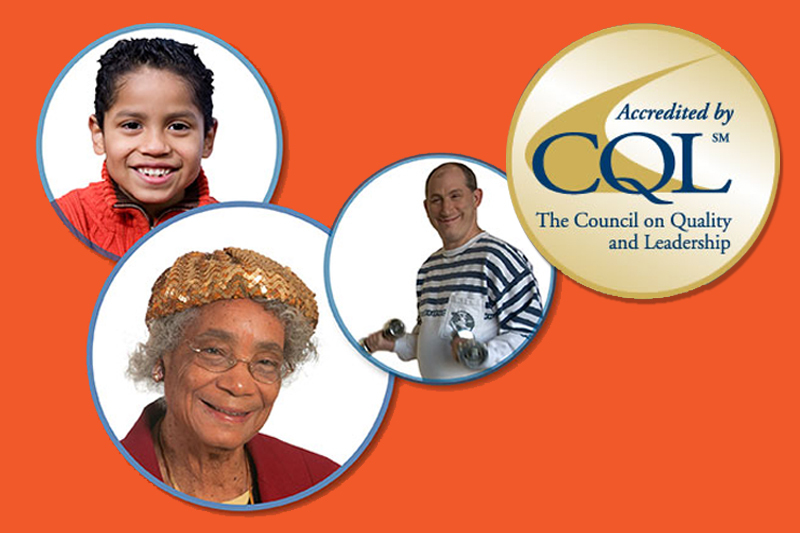 Catholic Charities Disabilities Services has received accreditation from The Council on Quality and Leadership (CQL). CQL provides accreditation to human service organizations and systems that share their vision of dignity, opportunity and community for all people. CQL accreditation is grounded in an organization-wide systems approach and over 40 years of leadership and peer-reviewed research. CQL accreditation promotes excellence in person-centered services and provides a framework for the agency to improve the organization’s quality of supports. It’s about continuous improvement in your organization. But beyond that, it is about giving your organization the tools to provide supports which allow individuals you serve to live the lives they want. CQL is dedicated to the definition, measurement and improvement of personal quality of life for people receiving human services and supports. CQL provides a seal of approval that only approximately 400 organizations have acquired world-wide. There are four building blocks to CQL Accreditation. A Plan of Person-Centered Excellence: This is the road map for the agency to improve. It includes goals and benchmarks for the agency to achieve over a multi-year period. To learn more about the CQL accreditation process visit: http://www.c-q-l.org . As part of our ongoing CQL accreditation, we monitor Basic Assurances® through our Basic Assurances Dashboards. To view a Dashboard, please download it from the column on the right side of this page. (updated monthly).